James Benjamin Wallace Wolstenholme was born in 1895, the eldest son of James Wolstenholme and Mary Elizabeth Gossling. He joined Westminster School in 1908 and was admitted to Ashburnham House. 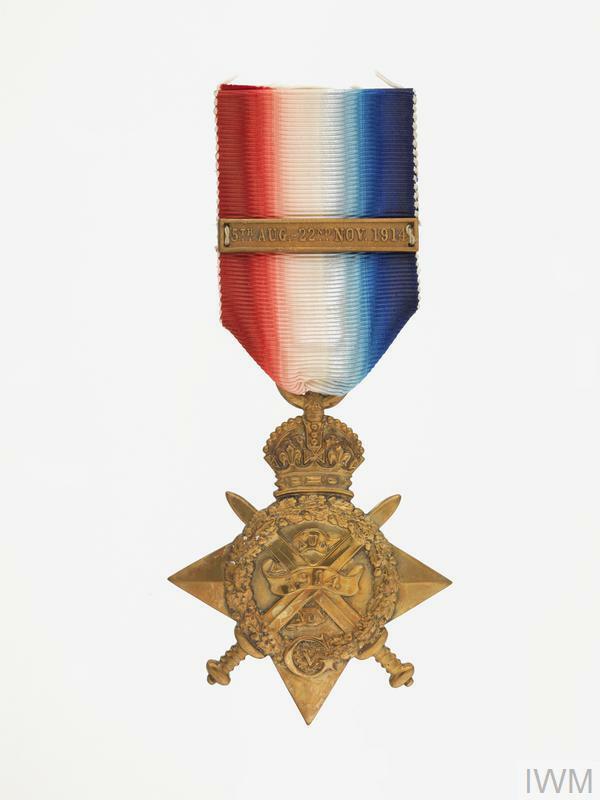 By 1913 he had enlisted with the Artists’ Rifles, a volunteer regiment of the British Army Reserve. He remained part of the Territorial Force for several years, and in 1915 became Lieutenant Railway Transport Officer. In this role he worked as part of the Royal Engineers, the body responsible for the creation and maintenance of not only British railways, but transport networks across Europe and beyond. In August 1917 Wolstenholme was transferred to the RFC (Royal Flying Corps). 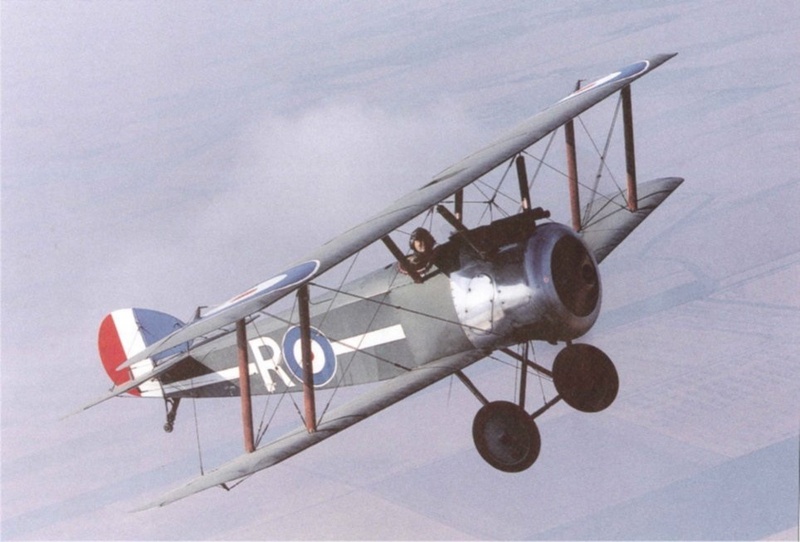 The RFC was a precursor to the Royal Air Force, and remained in place until 1918. Here Wolstenholme trained at the 47th Training Depot Station, based with the North Eastern Training Group in Doncaster. It was while training with the RFC that Wolstenholme was fatally wounded, and he passed away on the 20th August 1918. Michael Edward Gonne was born in 1898 and came to Westminster School, initially as a member of Homeboarders’ House in January 1912. Later that year The Elizabethan recorded that Michael had ‘made a trial of Rigaud’s last term and evidently liked it so much that he has come again’. He eventually settled in that house. We do not know what he did immediately after leaving the school in Easter 1914, but in 1916 he attended the Royal Military College, Sandhurst and took a commission as a 2nd Lieutenant in the 3rd Battalion of the Royal Fusiliers (City of London Regiment) as soon as he turned 18. He was immediately attached to the Royal Flying Corps and in March 1917 travelled to Egypt, presumably to train. In May he was appointed a Flying Office and was sent to France in June. In February 1918 he was injured whilst testing a machine. He was invalided back to England, where, on resuming duty, he acted as a gunnery instructor. He was able to rejoin his old squadron on the western front on 7th August 1918 and on the following day volunteered for a flight. He never returned and was last seen on the 8th August 1918, at the height of 2,000 feet over the Somme crossings at Brie, and is said to have died in the German Field Hospital at Villers-Carbonnel. Gonne flew a Sopwith Camel. The type was highly manoeuvrable and popular with its pilots although the combination of the short-coupled aircraft and the rotary engine produced some handling quirks that could catch out inexperienced pilots. The Camel proved to be very successful in aerial dogfights and is said to have achieved more victories in combat than any other single type during the First World War. James Hamilton Spence was the only son of Hamilton Robert Spence and his wife Constance (whose brother was also an Old Westminster). He joined the school in 1911 and was admitted into Grant’s House. Henry Lionel Storrs was the second son of Harry Townsend Simons Storrs, Head Master of Shirley House Preparatory School and his wife Clara. He attended his father’s school, before obtaining a King’s Scholarship to Westminster in 1912. Henry was actively involved in many elements of school life. He won his full pinks for rowing, was a corporal in the school’s Officer Training Corps, and helped his house with the Singing Cup in his final year at the school. His obituary in The Elizabethan noted that his ‘high character was thoroughly appreciated’ at the school. 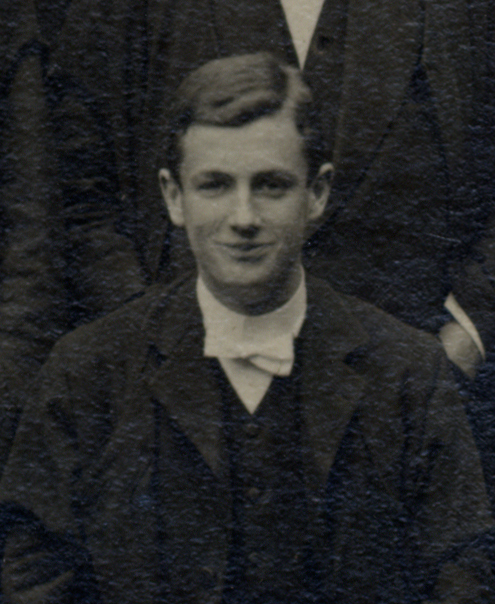 In 1916, Henry was elected to a scholarship at Trinity College Cambridge with both Triplett and Samwaies prizes. However, instead of going to University, he took a commission in the Royal Flying Corps in August of that year. He first went out to France as an observer in January 1917. In July of that year he returned to train to become a pilot, completing his course in November. In December 1917 he returned to France and served successfully until June. On 15th June he was wounded in a fight with ten enemy aeroplanes, but managed to make his way back to allied territory and to safely land his aircraft in the aerodrome. He was sent to the Duchess of Sutherland’s Hospital, near Arras where he died on pneumonia five days later. Leslie was the son of J.V.N. Plumptre and Mary Ling. He was adopted by Henry Heigham and adopted his surname in addition to that of his father. He joined the school aged just nine years old from Shrewsbury House Preparatory School. He started initially as a day boy in Ashburnham in 1907 and then became a boarder in Grant’s. 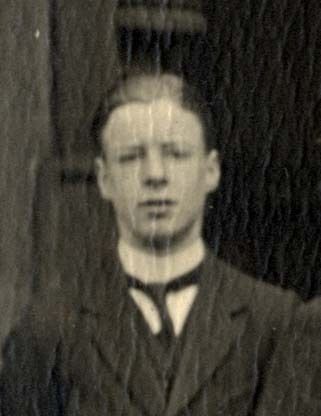 Leslie left in Easter 1913, then aged fifteen, and joined HMS Worcester. 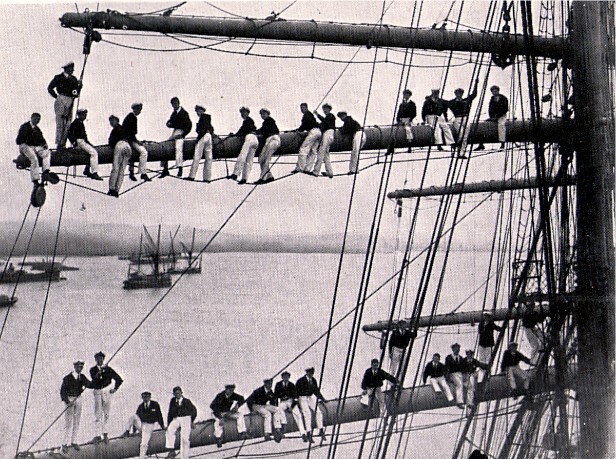 The ship was the home of the Thames Nautical Training College and cadets received training with a view to becoming seamen in the navy. Leslie’s career took him in a different direction and he joined the Royal Military College, Sandhurst in 1917 before taking a commission as a 2nd Lieutenant in the 3rd Battalion of the Bedfordshire Regiment in September 1917. In December he was attached to the Royal Flying Corps, and he went out to the Western Front in March 1918. Eleven days after arriving, he was wounded and invalided home, but he returned to the front on 19th May. Once again, less than a fortnight after arriving he was injured in a bombing raid. He died from his wounds on 4th June 1918. Eric was the younger son of Alfred North Whitehead, a mathematician, philosopher and Fellow of the Royal Society and his wife Evelyn. He joined Rigaud’s House in April, 1914 and left the school two years later in 1917. Whilst Whitehead had a place to study at Balliol College, Oxford, he joined the Royal Flying Corps in the autumn of 1917. He went out to the western front in February 1918 where he was killed in action whilst on flying patrol. Before the war the philosopher Bertrand Russell had been a close friend to the Whitehead family. However, contrasting attitudes towards the war pulled the friendship apart. Russell, a pacifist, opposed the British government and defended the rights of conscientious objectors. His actions ultimately led to his being imprisoned for several months in 1918. 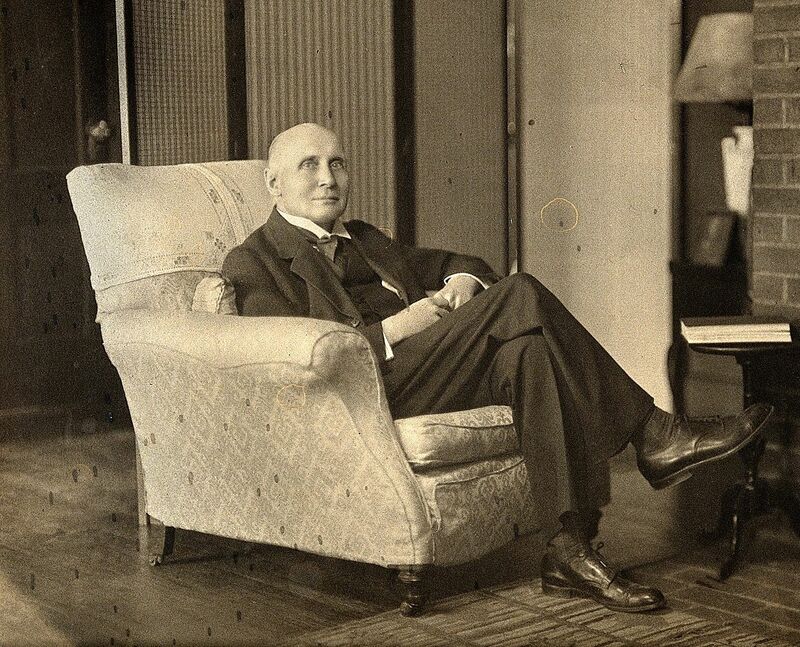 The Whitehead family felt that the war was necessary to secure peace in Europe and all of Alfred North Whitehead’s children served in the war effort. Eric’s death was a great loss to the family. He was the 5th member of that team to die in the war – following contemporaries R. Chalmers and J.W.H. McCulloch and G.J.M. Moxon and E.C. Graham. On leaving the school he became a driver for the Honourable Artillery Company. He later served in Egypt during the war until 1916 when he was promoted to the rank of 2nd Lieutenant in the Royal Field Artillery. From there he went to Salonika before later becoming attached to the Royal Flying Corps in October 1917. Pilots were much in demand at this stage in the war and during 1917 experienced pilots were redeployed from the Sinai and Palestine Campaign to set up a new flying school and train pilots in Egypt. Last ‘obtained his wings’ – his license to fly in December 1917 and was then appointed as an instructor. He was killed accidentally while instructing a pupil near Cairo a less than two months later. John Sheridan Gregory was born on the 15th of September 1889. He was the younger son of Lieutenant-Colonel Gregory Marcar Gregory, of West Kensington, and Edith Laura, the second daughter of John Sheridan, of Earl’s Court. Before arriving up Ashburnham in 1902, John was educated under Mr George Egerton, Somerset Street. While he was at the school, he represented his house at Football as a half-back. The Elizabethan notes that he “played very well” in the 1907 House Cup match in which his team won 6-0 against Rigaud’s, and was “on the top of his form” against the Homeboarders. After he left the school in July 1907, he went on to Trinity College, Cambridge in Michaelmas 1908. He graduated with a BA and LLB in 1911, and was admitted to the Middle Temple in November 1913. Particularly keen to become proficient in riding and driving, John enlisted in the Officer Training Corps (Army Service Branch). By August 1914, he had qualified for Certificate A, a proficiency award for basic training, and had passed all but his final examination for the Bar. As soon as he had qualified, he went out to France as 2nd Lieutenant, Army Service Corps (Special Reserve). Then, between April 1915 and August 1917, he served as Supply Officer to the 9th Cavalry Brigade. He rose through the ranks, becoming a temporary Lieutenant in August 1915, a full Lieutenant in February 1916, and a temporary Captain in June 1916. In August 1917, he was attached to the Royal Flying Corps, and returned to England to qualify as an Observer. He returned to France in October 1917, and joined No. 16 Squadron R.F.C. before being transferred to No. 35 Squadron in November. 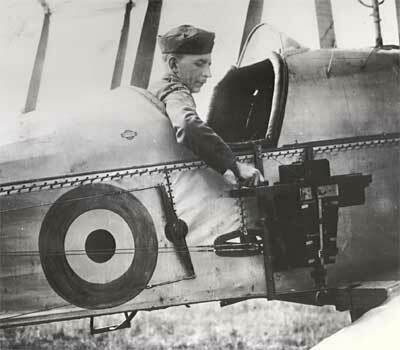 He was promoted to Captain on the 29th November 1917, and was preparing to go through the training of a pilot. He received the 1914 Star for his past services in France. But just a fortnight later, on 19th February 1918, his plane was shot down in an encounter with a German machine between Lempire and Épehy. He died aged 28, and is buried near Peronne. 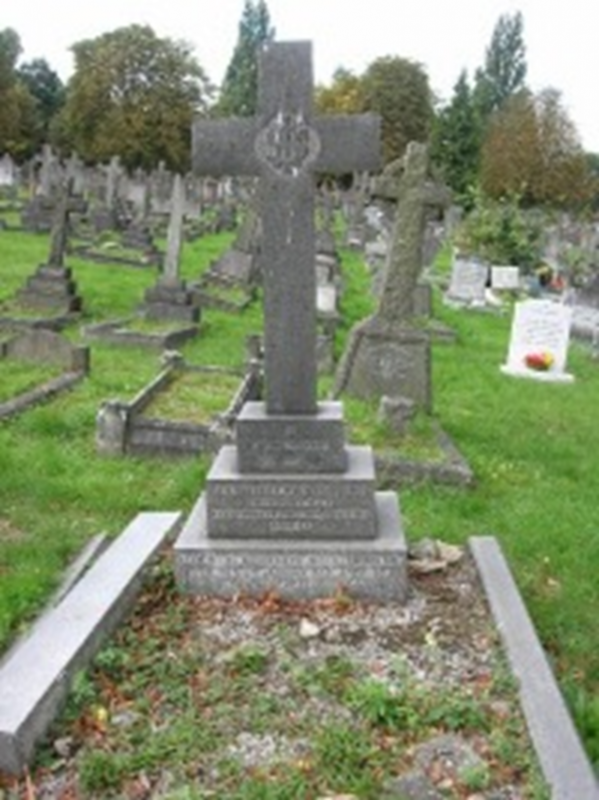 Harold Macfarlane was the elder son of Harold and Elizabeth Macfarlane. He was born in Harrow on 11th September 1898 and spent his early years at Mr Douglas Gould’s Preparatory School, The Briary, Westgate-on-Sea. Both his father and his mother’s brother had been educated at Westminster, and Harold arrived at the school in September 1911. Like his father, the young Harold was a Home Boarder. Whilst at the school, Harold represented his house at Cricket, Football, Fives and the OTC. Upon leaving the school in July 1916, he joined the army. He received his commission as a temporary 2nd Lieutenant with the Royal Flying Corps on 27th February 1917. He was given his “wings” in May, and went out to the front in June. 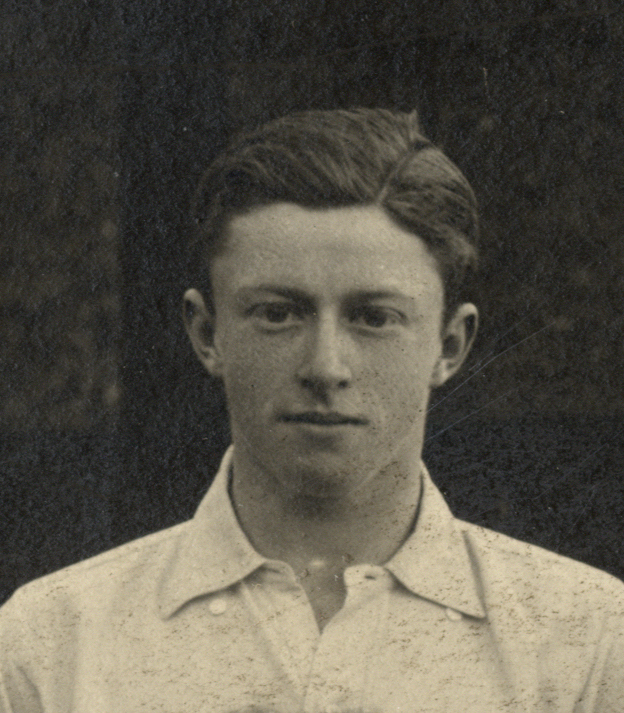 Harold was only 18 when he was killed in France while testing a new machine on 14th July 1917. Geoffrey Gee was born in Summergangs, Pinjarra, Western Australia to Raymond Gee and his wife Annie Matilda Alderson. His father was English and at some point before 1888 had emigrated to Perth, where he was Head Master of Hales School for a year. 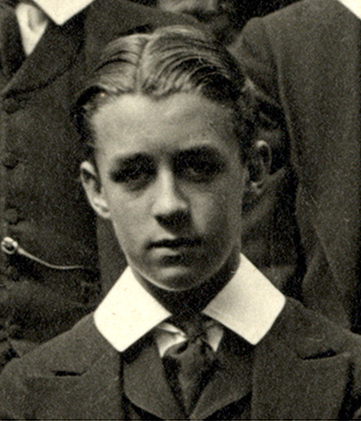 Geoffrey was sent to school in England, joining Ashburnham House in September 1909. He was made an exhibitioner in 1910, and a King’s Scholar in 1911. Outside of term time he lived with his paternal aunt and her husband, Dr Bernard Ley, in Earl’s Court. Geoffrey was very successful in a range of school activities. He was athletic, winning the school fives ties and was a runner up in the gymnastic competition (losing out due to a ‘lack of symmetry in some exercises’). He played cricket and football for the 1st XIs, earning full pinks after his performance in the Charterhouse football match, although ‘he dribbled much too close on to his forwards and only passed moderately’. In his final cricket season it was commented that he had ‘persevering temper, and both with bat and with ball did better than some of his critics expected’. Gee was academic as well, winning the Phillimore prize for translation and speaking regularly at the school’s debating society – opposing a motion to restrict the franchise in this country. He performed ‘very creditably’ in the 1913 Latin Play. In his final term at the school, Election 1915, he was made a monitor. Although Geoffrey won a place at Christ Church, Oxford, he joined 3rd Battalion of the Royal Sussex Regiment straight after leaving the school. He went out to the western front in August 1916, but was transferred to the Royal Flying Corps in January 1917 as an observer. 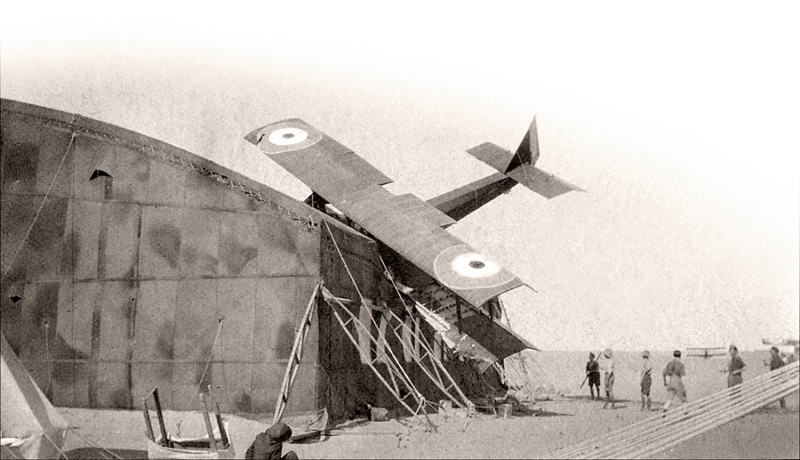 Geoffrey went up in his aeroplane near Ypres on 4th June 1917 and was never seen again. His name is on the Arras Flying Service Memorial in the Faubourg d’Amiens Cemetery.